No Indians would be allowed employment in the Adani Group’s controversial $16.5 billion Carmichael coal mining project in Queensland province. 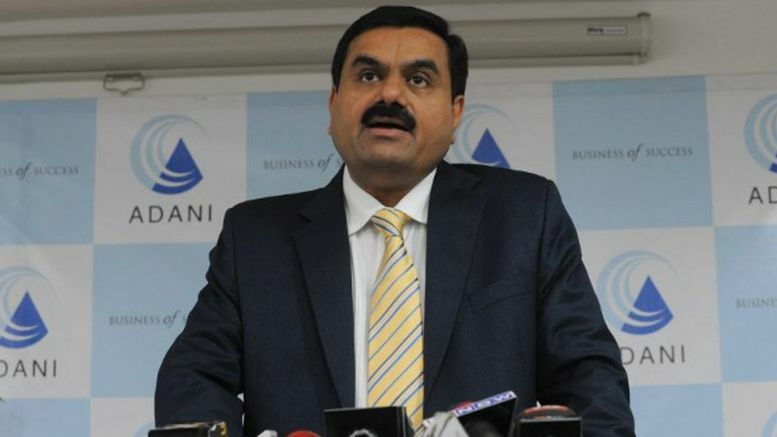 Melbourne-based South Asia Times (SAT) has quoted group chairman Gautam Adani as having assured the Australian authorities that he would not bring any foreign workers for his project. Gautam Adani, considered close to Prime Minister Narendra Modi earlier had a meeting the Australian Prime Minister Malcom Turnbull at a private meeting in Melbourne and briefed him project details. “The Premier has said she takes Adani at this word and that’s fine, but I would have thought it would have been better to assure Queenslanders that we had some written commitments that jobs from this project will go to Queenslanders,” Nicholls has been quoted as saying. “We are particularly focusing on the construction of our planned near-400km rail line to be constructed between the Carmichael mine and our bulk port facility at Abbott Point near Bowen,” Janakaraj said. Janakaraj also said that Townsville would also be home base for the company’s project management office, and provide port services for incoming materials. The original plan of the company was to have the project offices in Brisbane, one of the biggest cities of Australia. Gautam Adani’s assurances to the country’s authorities came following the Australian Conservation Foundation (ACF)-sponsored rally in Melbourne (click HERE) against the coal mining project. ACF called the decision to allow the project to go ahead a “dirty deal”. Wangan and Jagalingou Traditional Owners Council, which has opposed the project for long, said, it would file a fresh court action against the proposed project, regretting the Adani Group chairman did not meet them.